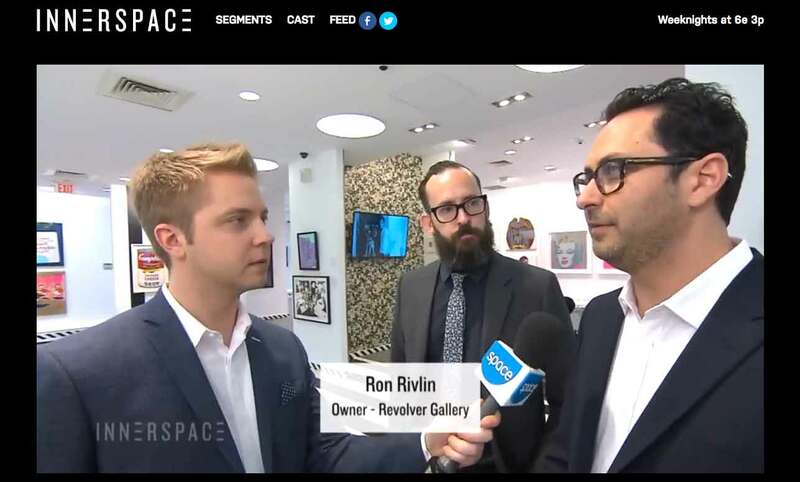 In a July 8, 2015 video segment on “Andy Warhol,” Innerspace correspondent Ajay interviewed Revolver Gallery owner Ron Rivlin and art director Ryland Behrens on the many cultural icons featured at Warhol Revisited. Inspired by the Warhol mantra “Pop Art is for everyone,” he showcased his own works to find out what the curators thought. Watch the segment on Innerspace.